Discussion in 'Guitars in General' started by ECHaydo, Apr 25, 2016. Traded for this today and these pictures are the only times since the transaction that I was able to put it down. I'm loving this thing!!! rul8agn, jerrycampbell, enharmonic and 16 others like this. Nice! 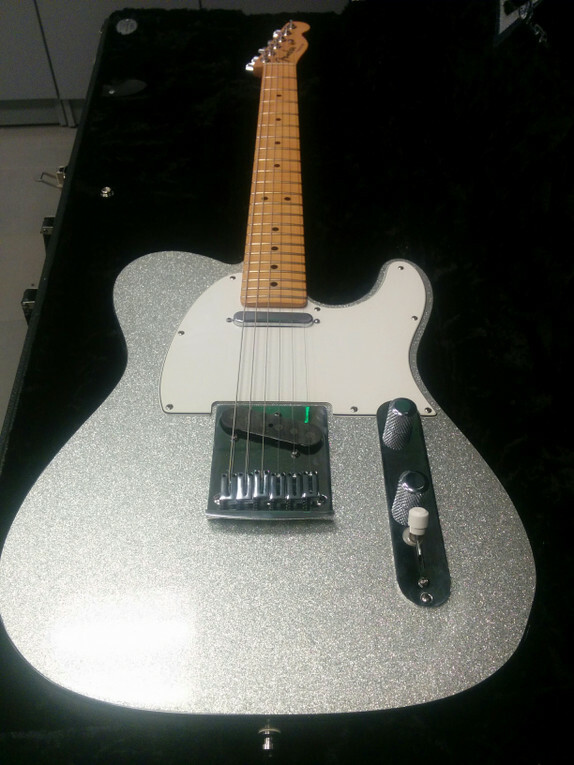 The silver sparkle finish, black binding, and maple board combo is very cool. 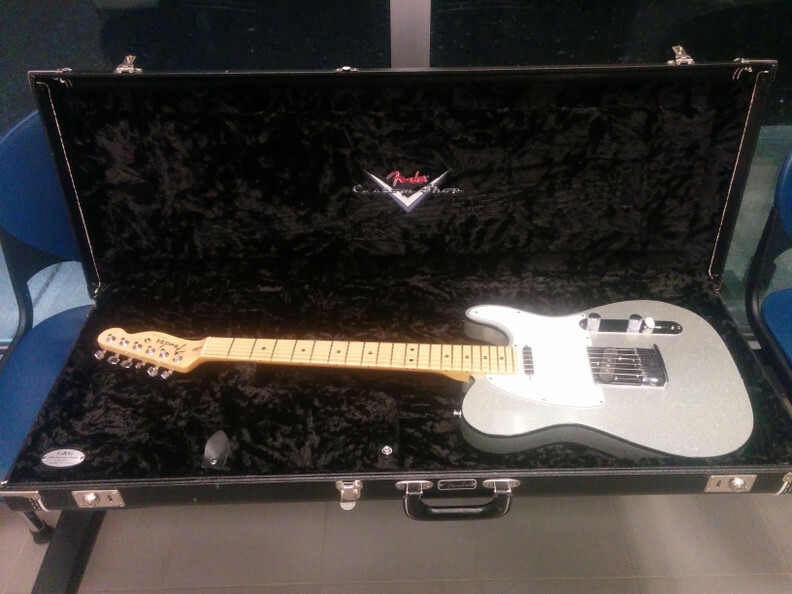 Congrats on your new CS Tele. I'm a sucker for sparkle so this gets my thumbs up. Looks great! Beautiful. Simply beautiful. Now go pick some Don Rich licks on it, buckaroo! That black binding looks awesome with silver sparkle finish! Congrats! Love the silver sparkle! That is a beautiful guitar, I hope it plays and sounds fantastic! Damn that looks good! The binding really works. Schweeeeeeeeeeeeeeeeeeeeeeet! I have a CS gold sparkle that's my #1. Enjoy! Beautiful! I really don't think my life will be complete until I own a double bound Tele. Congratulations! You sir, have good taste in guitars.